adjunct: any substitute unmalted grain or fermentable ingredient added to a mash. Reduces cost and produces lighter-bodied, paler, and less malty beers. aeration: exposing a substance to air, performed at various stages of the brewing process. airlock (or fermentation lock): a one-way valve that allows carbon dioxide gas to escape while preventing the entry of contaminants. ale: a generic term for beers produced by top fermentation (i.e. using ale yeast strains) at temperatures higher than lager fermentation temperatures; wort usually made by infusion mashing. alpha acid: the soft, bitter hop resin responsible for most of beer¹s bitterness. Alpha acids must be boiled to convert alpha acids to iso-alpha acids. Measured as a percentage of the total weight of the hop cone. alpha acid units (AAU): percentage of alpha acids in a sample of hops multiplied by the weight in ounces of the entire sample. (One ounce of hops with an alpha-acid content of 5 percent contains 5 AAUs.) AAU values are used in the calculation of BUs and IBUs. all-grain beer: a beer made entirely from malted grains, as opposed to beers made from malt extract. amylase: generic name for enzymes that break the bonds holding starch molecules together. attenuation: the drop in specific gravity that occurs as a wort goes through fermentation. beerstone (or beer scale): a hard film created by the combination of calcium oxalate, protein and sugar that is formed when the same vessel is used repeatedly. beta acid: a soft, bitter hop resin that is harsher in flavor than the alpha acid but almost insoluble at normal wort pH values. bitterness units (BU): a system to express the bitterness in beer with a unit based on alpha acid content. The homebrewers’ bittering unit estimates the bitterness of hopped malt extract by multiplying the amount of hops by the alpha acid unit of the hops used. body (or mouthfeel): the consistency, thickness, and sensation of fullness created by beer in the mouth. boil: the step in brewing when the sweet wort is transferred to a brew kettle and boiled with hops to produce a bitter wort. bottle-conditioned: beer carbonated naturally in the bottle by priming or re-yeasting. break: the clumping and separation of protein matter during the boiling stage (hot break) and cooling stage (cold break). brilliance (or brightness): description of beer in terms of clarity and effervescence (also called purity). buttery: having a taste like butter or butterscotch, signifying the presence of diacetyl. caramel malt: a malt that is prepared by “stewing” (kilning in a moist environment) to produce sugars from starch (the sugars caramelize when the malt is dried to yield color and flavor compounds). Also called crystal malt. carbonation: injecting or dissolving carbon dioxide gas in a liquid to create a bubbly taste and texture. carboy: a large glass or plastic vessel with a narrow neck. chalk: a term for calcium carbonate, used in brewing dark beers. chill haze: a haziness in beer caused by the precipitate formed when a beer is refrigerated. chillproofing: treating beer to make it more resistant to chill haze, usually by holding beer near freezing for several days of adding polycar and/or silica gel during the second stage of fermentation. clarification: removing suspended particles from the wort or finished beer through mechanical or chemical means. closed fermentation: anaerobic fermentation performed in closed vessels. conditioning: the process of carbonating beer. crystal malt: another name for caramel malt (see earlier). decoction mashing: the method of removing some of the mash, boiling it, then returning it to the main kettle to boost the mash temperature (this process is used in all-grain brewing). dextrose (or glucose): a monosaccharide used to prime bottle-conditions beers. diacetyl: a powerful aroma compound derived from yeast that can impart a butterscotch or buttery flavor to beer. doughing in (or mashing in): mixing ground malt with water, the first step in all-grain brewing. draft (or draught): beer drawn from kegs or casks instead of being bottled. dry hopping: the practice of adding hops to the primary or secondary fermenter (or to finished beer) to increase the aroma and hop flavor of the beer without increasing its bitterness. dry kit: a homebrewing kit that contains dry malt extract, hops, and sometimes specialty malts. dried malt extract: malt extract in a dried powder form (often called DME). Becomes very sticky and will clump when exposed to humidity. Store unused DME in a tight sealed, cool & dry environment. effervescence: the bubbling in beer primarily caused by dissolved carbon dioxide gas. enzyme: a protein that acts as a biological catalyst for chemical reactions, such as alpha-amylase, which converts starch to maltotriose and dextrin sugars, or beta-amylase, which converts dextrins to simpler sugars: maltose, glucose and smaller dextrins. esters: powerful flavor compounds formed by the combination of organic acids and alcohols during fermentation. They contribute fruity aroma to beer. extract: the sugar left after mashing and lautering malted barley. By removing the liquid, sweet wort is reduced to a syrup or powder and packaged in cans for homebrewing. extract brewing: making beer from malt extract syrup or powder as opposed to unprocessed malt (which is used in all-grain brewing). fermentation: the process by which yeast releases energy in the absence of oxygen by breaking sugar into carbon dioxide and alcohol. filler: a machine that pours liquid into bottles or other containers. filtration: the process of removing suspended solids, primarily yeast and proteins, to produce a brilliant beer (usually performed just before bottling). gelatin: a colorless and tasteless protein used as a fining agent. gelatinization: the transformation of starch from a solid, crystalline form to a liquid, soluble form. It occurs when starch is heated in water. Gelatinized starch can be attacked by mashing enzymes whereas ungelatinized starch cannot. grist: crushed malt and adjuncts mixed with hot water for mashing. growler: a container like a jug used to carry draft beer purchased at local brewpubs. gypsum: hydrated calcium sulfate used to treat soft or neutral water making it hard. head: the foam at the top of a poured beer. heat exchanger: equipment used to heat or cool the wort rapidly. high gravity: an original wort gravity of 1.060 or greater. hops: the flowers or cones of the female hop plant used in brewing to impart flavor and bitterness. These can be used whole, or in form of pellets or plugs. 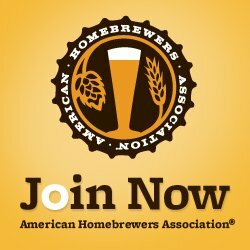 hop bitterness unit (HBU): This is a value assigned to a hop for the purpose of identifying bitterness. The formula, devised by Fred Eckhardt, gives the brewer the ability to calculate the amount of hops to use in order to achieve the desired bitterness. hot break: the precipitation of protein and tannic matter when hops are added to boiling wort. hop extract: resins and oils extracted from hops by using organic solvents or liquid carbon dioxide. hydrometer: a glass instrument used to measure the specific gravity of beer by comparing it to that of water. IBU (International Bitterness Unit): unit of measurement used to express a beer¹s bitterness as milligrams of iso-alpha-acid (a compound created when alpha acids are boiled) per liter of beer. Immersion heater: a heating device used to maintain a constant temperature in the mash tun. Infusion mashing: the traditional British method of mashing, primarily used in ale brewing. It occurs at a single temperature and is carried out in a combination mash-lauter vessel called an infusion mash tun. Invert sugar: a mixture of fructose and glucose produced by chemically breaking down sucrose; used for boosting gravity and priming. Irish moss: a red seaweed added at the end of the boiling process as a fining agent. Iron: an ion that causes haze and oxidation and hinders yeast. Isinglass: a gelatinous substance derived from the swimming bladder of sturgeon fish, also used as a fining agent. Jetting machine: an automatic machine used to wash bottles. Jingle: a beverage consisting of ale that is sweetened and flavored with nutmeg and apples. Jockey box: a beverage-dispensing system, often used to serve beer, consisting of a picnic cooler with an internal cooling coil and one or more externally mounted taps. The cooler is filled with ice, and the beverage is chilled as it passes through the coil to the tap. kegging: drawing beer from the fermenter to the keg. keggle: nickname for a commercial beer keg that has been converted into a homebrewing beer kettle. kettle: a large vessel used to heat wort. kraeusening: adding a small amount of wort at high kraeusen to fully fermented lager to create a secondary fermentation and natural carbonation. 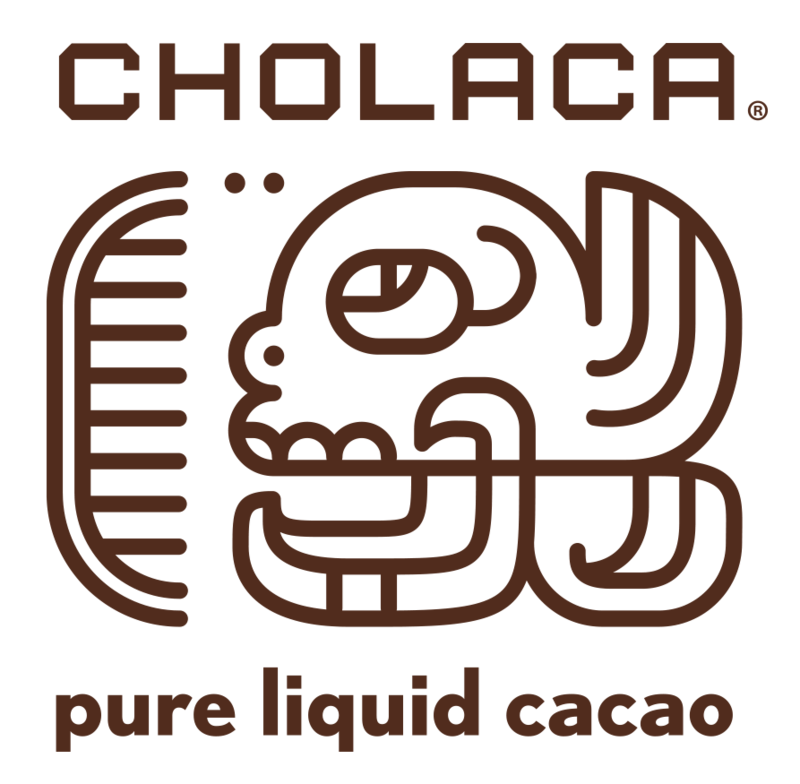 lactic acid: an acid produced by bacteria during mashing or (more frequently) during fermentation and aging via contamination. lager: (n.) any beer produced by bottom fermentation. (v.) Aging beer at cold-storage temperatures. lambic: a Belgian wheat beer traditionally brewed in winter that uses wild airborne yeast and bacteria to ferment the wort. lauter: to separate the wort produced during mashing from the spent grains (husks and coagulated protein). lauter tun: a large, perforated, false-bottomed vessel used to strain the sweet wort from the spent grains after mashing. Sometimes the mash tun is used for both mashing and lautering. liquid malt extract: malt extract in a liquid form (often called LME). Very vicious and sticky, often recommended that you heat the LME up before pouring in in order to decrease the viscosity. Lovibond: the scale often used to evaluate malt, wort and beer color. lupulones: the bitter resins found in the lupulin glands of hops, also knows as beta acids. There are three forms of lupulone: co-lupulone, lupulone and adlupulone. malt: barley or other grain steeped in water and germinated to create enzymes to be used in mashing, then kilned to stop the growth of the grain and to reduce moisture. maltase: the enzyme that catalyzes the reaction that coverts maltose into dextrose. malt extract: wort concentrated into a syrup or powder by removing all or most of the water. mash: (n.) a mixture of milled malted grains and hot water used to produce the sweet wort needed in brewing. (v.) mixing ground malt with hot water in the mash tun to extract the malt starch and convert it to grain starches and fermentable sugars. mash kettle: the kettle used to boil part of the mash in decoction brewing. mash tun: a vessel used to hold the mash in infusion brewing. May be fitted with a perforated false bottom to remove the sweet wort produced during mashing from spent grains. mead: a beverage produced by fermenting honey. melomel: mead flavored with fruit. metheglin: mead flavored with spices. milk of amnesia: a term for old ale, a strong, dark draft beer with a high original gravity served in Britain. milling: grinding the malt into grist before extracting sugars during mashing. modification: the net physical changes that occur within the barley kernel as it is converted from barley to malt. natural conditioning: a secondary fermentation that occurs during ageing. During this maturation period there are still live yeast in the beer. Ninkasi: the Sumerian goddess of beer. noble hops: a variety of hops grown in Germany and Belgium. They are renowned for their flavor and aroma. 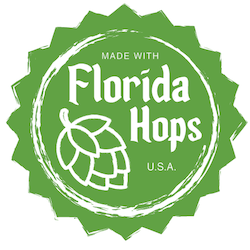 nonhopped: any style beer or malt extract that has not had contact with hops. nonflocculating yeast: Bottom fermenting yeast that do not form clumps while fermenting. Northern Brewer: a variety of hops grown in Kent, England, containing 8.5­11 percent alpha acids. It also grows in the northwestern United States, to even higher alpha acid levels. nose: a term used in tastings to describe the overall fragrance, aroma and bouquet of a beer or wine. Nugget: a variety of hops that grow in North America. This hop strain typically has about 9­13% alpha acid content. nutrients: like any living creature, yeast require nutrients to remain healthy while performing their duty (i.e. fermentation). The essential nutrients are nitrogen and phosphorous, which are typically packaged and sold as “yeast nutrients” to add right after pitching your yeast. Nuts and Bolts: A mix of a mild and bitter ale that is popular in England (most popular in the East Anglia region). off-flavor: a term used to describe any taste in a brew that is inconsistent with the style or is just offensive. These flavors are often caused by poor sanitation, excessive aging and oxidation. original gravity (OG): this is the specific gravity of a wort before it goes through any fermentation. The measurement tells you the amount of solids that are in a wort in reference to that of pure water at a certain temperature (which is given the value of 1.000 SG). Oktoberfest: both a German festival and a German brew. The festival started nearly two hundred years ago in Munich and is now a 16-day event. The brew is typically lagered and cold-cellared for at least eight weeks and German beer laws demand a starting gravity of at least 1.052.
old ale: a dark English style ale that is meant to age at least one year. This ale has an acidic flavor that was originally caused by lactic acid. This acid was formed by the Lactobacilli contained in the wooden storage vessels where they were aged in the late nineteenth century. oxidized: a brewing fault where a brew is exposed to excessive oxygen, causing flavor problems and spoilage. This can be caused by poor bottling procedure, or excessive headspace. pale ale: an amber colored beer brewed with pale malt. This ale originated in England and is known for its light color, hoppiness and drinkability with its typical alcohol content of 3.5% by volume. pasteurization: A stabilizing technique that uses high heat in packaged materials or brew to kill microorganisms. This process also prevents post packaging fermentation in brews and lengthens shelf life. pH: the commonly used abbreviation for “potential hydrogen.” This measurement is given a number between 1-14, representing the acidity or alkalinity in a solution. A solution below 7 pH is considered acidic and a solution above 7 is alkaline. Pilsner: a style of beer that is light colored and hoppy. These brews originated in the city of Plzen, Czechoslovakia. Typically, this brew has a 5% abv. porter: an extremely dark brew that is mild in alcohol. It originated in London as a richer alternative to ales. It gets its dark color and rich flavor from roasted, unmalted barley. potential alcohol: the estimated amount of alcohol that a final brew will have. This measurement is based on the pre-fermentation sugar content. primary fermentation: the first phase of fermentation where sugars are converted into ethyl alcohol and carbon dioxide. priming: the practice of adding sugar to fermented brew before bottling to reintroduce fermentation and carbonate the brew in bottle. rack: to move beer from one container to another, typically from a primary to secondary fermenter in order to separate beer from the solids that fall out of solution during the initial fermentation period. racking cane: a plastic tube with an arced end that is attached to a hose and used to siphon brew. The arced end stays above the solids when lowered to the bottom of a fermenter and helps to leave sediment behind. rauchbier: An amber colored brew from Germany that is noted for its smoked flavor that derives from roasting and drying malts over an open fire. real ale: an ale that hails from England and is cask-conditioned in the cellar. Real ales are often served from casks in the pub with a beer engine. rest: during the mash, brewers hold the mash at a predetermined temperature in order to draw out certain enzymes from the grain. RIMS: an acronym for Recirculating Infusion Mash System, a type of brewing system that many homebrewers use. roasted barley: an unmalted barley that is roasted in a kiln to give it a dark color and a bit of a bitter flavor. runoff: a synonym for wort, or the liquid that you separate from the spent grain husks during lautering. saccharification: the process of converting starches contained in malt into fermentable sugars. saison: a Belgian beer typically amber in color and top-fermented. At least 90 days of bottle conditioning is called for in this beer, that has a noticeable fruity flavor and alcohol percentage of about 5% by volume. secondary fermentation: the second, slower stage of fermentation that takes place after primary fermentation has forced solids out of solution and the brew is racked to a closed bin (the “secondary fermenter”). six-row barley: a variety of barley that grows six rows of grains and has more husk material by proportion than the more pristine two-row variety. The result is a less developed grain that yields less in the way of extract. skimming: the process of removing the top layer of yeast that forms on the head of the brew during primary fermentation (with a tool known as a skimming oar). Brewers can utilize this process to save the yeast for later use. smoked malt: a smoky flavored malt that gains its flavor through drying over open fire. sparge: a process that brewers conduct during mashing in which spent grains are sprayed with hot water in order to extract the remaining sugars from the husks. specific gravity (SG): a measurement that represents the density of a liquid at a specified temperature. Pure water is given a value of 1.000 SG at 39 ºC (4 ºC). This measurement is highly used in brewing in order to monitor various processes from boiling throughout fermentation. tap: a device that is attached to a keg or cask in order to control the flow of the beer. terminal gravity: a term used to define the specific gravity after a beer has fermented and aged appropriately. A synonym that is commonly used is final gravity. tertiary fermentation: this is a fermentation that is carried out in bottles as a conditioning technique. Tettnang: a German hop variety in the 3­5 percent alpha acid range. thermometer: a tool for measuring temperature. Thermometers specifically made for brewing use alternative materials to mercury (such as alcohol) as a precautionary measure, so that if the thermometers break, no poisonous chemicals will infect the beer. toasted malt: a pale malt that is kilned for varying amounts of time, at different temperatures in order to produce certain “toasty” flavor characteristics. tonne: a wooden cask that is 2.2 barrels (68.2 gallons/259.1 L) in volume. top fermentation: a fermentation method that utilizes yeast that hover on the surface as opposed to sinking to the bottom. Ales are “top fermented” beers while lagers are bottom fermented. topping up: A term used to define the addition of water after boiling a concentrated wort or extract; or the practice of adding water after primary fermentation in order to decrease the head space and prevent air contamination. Trappist beer: Beer brewed from any of the seven monasteries in Belgium and the Netherlands. These beers are all top-fermented, bottle conditioned and range in alcohol content from 4 to 12% by volume. They are renowned for their fruity flavor and spritzy carbonation. tripel: a strong Belgian ale that is pale in color and high in alcohol (upwards of 7% by volume). U.K. gallon: A synonym for imperial gallon, the English measurement equal to ~1.2 U.S. Gallons. Similarly, the fractional volumes of U.K. pints and quarts are also the equivalent volume greater than the U.S. measurement. ullage: A term that refers to calculating the headspace of a cask, keg or barrel. uni-tanks: a type of fermenter that is used for both primary fermentation and conditioning. unload: the process of emptying the steeped malts from the steeping vessel. undermodified malt: Malt containing barley or other grains that have been kilned or dried out in a way that prevented all the enzymes from transforming into proteins. underoxygenated: A term used to describe worts that have not been sufficiently aerated for fermentation. Yeast need an adequate amount of oxygen to effectively convert sugar to alcohol (and CO2). VGA: an American hop variety providing medium bitterness. Vienna lager: A style that derives from Austria that is amber in color. In modern day, Mexico has made this style popular through beers like Dos Equis Amber. viscosity: As an adjective, this descriptor refers to body and mouthfeel, but it literally refers to the resistance of liquid (beer) to flow ‹ i.e. its thickness. volatile acids: Acids in beer and other beverages that are decreased through evaporation, chemical treatment and fermentation. vorlauf: German word referring to the process of recirculating wort through the grain bed. wallop: a slang British term used for mild beers with low alcohol. weissbier: the German term for wheat beer. Weiss literally means white and wheat beers are very pale in color. weizenbier: the German term for top-fermented wheat beers. wild yeast: yeast that is naturally airborne. Originally, all beers were fermented with wild yeast. wort: the sweet solution created by boiling malt, hops and water. It is high in sugar and ferments when yeast is added. yard of ale: a long neck glass that measures 3 feet (i.e. 1 yard) and holds about a quart of beer. yeast: A single-celled organism of the genus Saccharomyces. During fermentation, yeast convert sugar into alcohol and carbon dioxide. yeast nutrients: These are elements that can be added to a fermentation to promote yeast health and vitality. 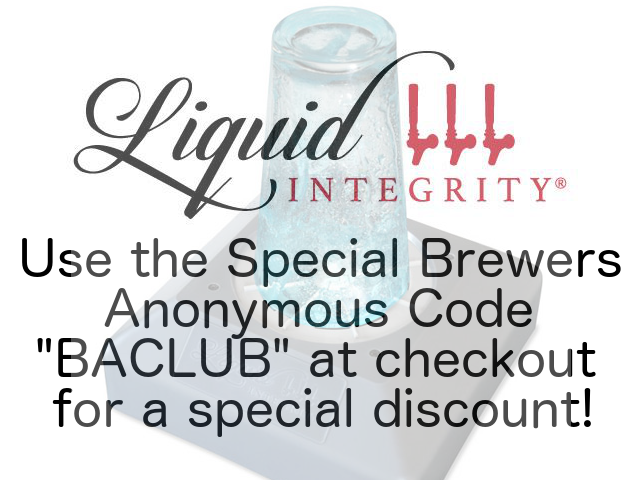 Homebrew supply shops sell pre-measured packages of yeast nutrients for small batches. zymase: enzymes in yeast that produce alcoholic fermentation by converting glucose to alcohols and carbon dioxide.